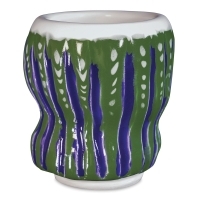 These one-step gloss decorating glazes are a great value! Developed for the classroom and especially for the novice, Amaco Teacher's Choice Glazes are easy to apply, they mix well (with each other and with Amaco Teacher's Palette glazes), and they produce consistent results at Cone 05. 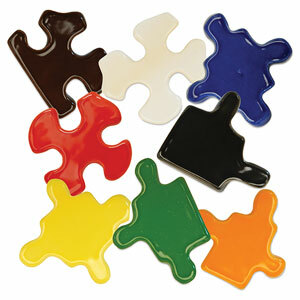 The palette of eight Teacher's Choice Glazes offers a great selection of colors for glaze layering and design. Teacher's Choice Glazes are non-toxic, lead-free, and dinnerware-safe. ® Amaco is a registered trademark of American Art Clay Company.® Teacher's Choice is a registered trademark.